US 60 and US 62 cross the Mississippi River between Cairo, Illinois and Birds Point, Missouri via a two-lane cantilevered Warren through truss bridge. 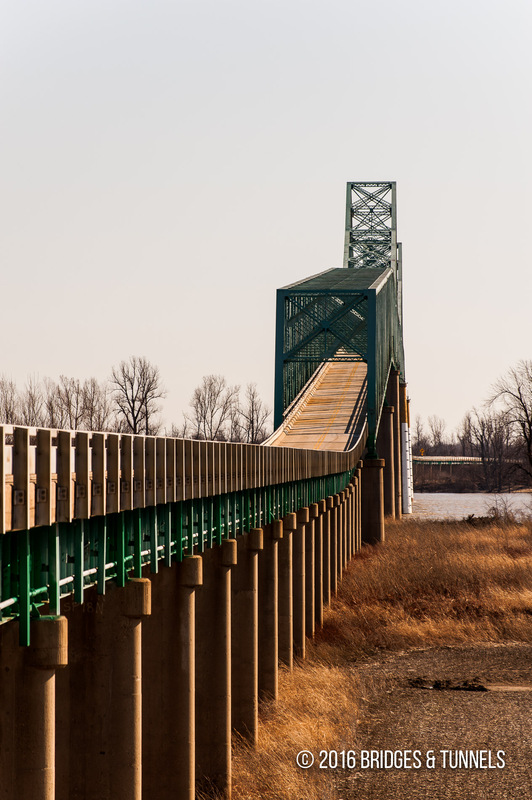 The bridge was constructed in 1929 by the Cairo Bridge and Terminal Company.1 Selected to build the bridge were the American Bridge Company of New York for the superstructure and the Missouri Valley Bridge & Iron Company for the substructure. Waddell & Hardesty served as the consulting engineering and design firm. Operational and maintenance was awarded to Sverdrup and Parcel. The crossing was acquired by the Cairo Bridge Commission on March 24, 19421 annd was operated and maintained by the Commission until May 22, 1954, when the Commission was able to repay the original construction bonds through tolls. At that time, the tolls were removed. The crossing was closed from March 16 to October 13, 2015 for a $3 million rehabilitation.2 It opened five months ahead of schedule. 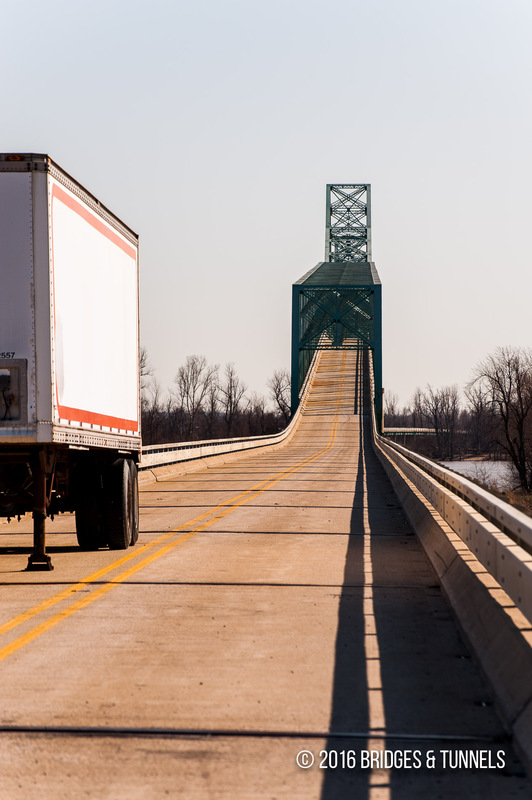 “Mississippi River Bridge to Close for a Year.” The Southern Illinoisan, 24 Feb. 2015. Web. 2016.